If you’re passing through San Francisco International Airport on Tuesday, August 20, 2013, be sure to stop by the Louis A Turpen Aviation Museum in the International Terminal for Flight Attendant Celebration Day, beginning at 10 a.m. 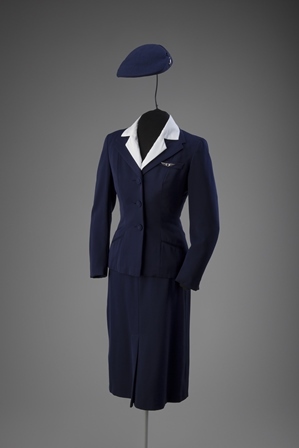 The SFO Museum exhibition United We Stand: Female Flight Attendant Uniforms of United Airlines is there and the schedule of events includes talks, short subject films and commemorative speeches. The Flight Attendant Celebration Day events are free and there will be complimentary refreshments. They’ll even validate your parking.